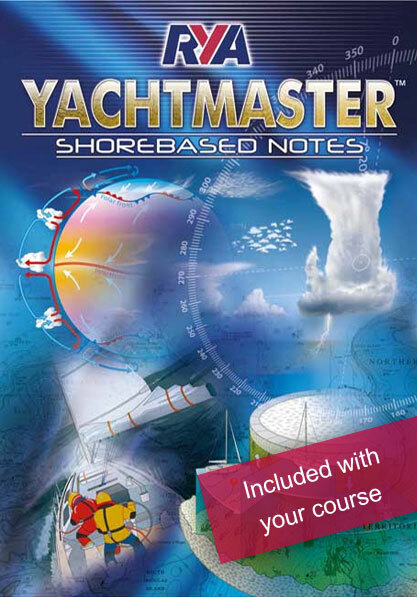 A more advanced course in navigation and meteorology, suitable for more experienced skippers and students who either have already successfully completed the RYA Day Skipper course, or who have theory knowledge to Day Skipper level. This course is definitely not suitable for beginners. Work at your own pace – maximum 6 months to complete (with optional extensions). The online format means you can learn anytime, anywhere – so long as you have access to the internet. If you like the idea of taking the course in this way, please take a look at the Free Trial and then go to our booking page to sign up and pay online. We will then email your login details and link for you to get started. 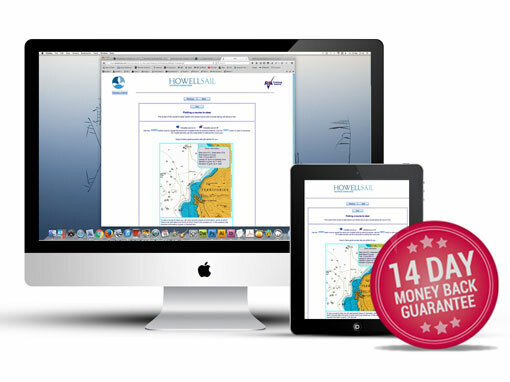 Online RYA Coastal Yachtmaster Theory Course costs £285 SPECIAL OFFER £235! including 1st class postage to EU. Due to postage problems, Spain, Italy and Portugal now have to go by courier – £30. (US & Canada £30, rest of the world £40). Personal tuition during your course from a fully qualified RYA/MCA Yachtmaster Instructor. Online assessment that can be taken in your own home. The RYA Coastal Yachtmaster theory course takes Day Skipper level students to a completely new level bringing an understanding of secondary ports, a greater knowledge of tidal streams, heights etc. Safety, weather, position fixing and much more is covered in greater detail. The Coastal/Yachtmaster theory course is the level required for RYA Coastal Yachtmaster, RYA Yachtmaster offshore practical certificates and is a pre course requirement for the RYA Yachtmaster Ocean Theory course. The course is made up of detailed lessons, most of which are animated for easy learning. Each lessen is followed by a set of questions which you can answer online. Once an answer is submitted the feedback is instant in the form of a detailed answer page. Some answers will be forwarded to your instructor who will provide personal feedback and help where required. 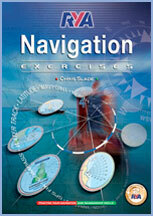 The RYA Coastal Yachtmaster theory course equips you to navigate safely on coastal & offshore passages. 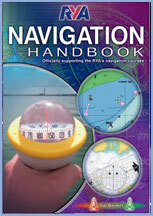 It builds on the Day Skipper theory knowledge & moves on to advanced navigation techniques including a greater knowledge of secondary ports, tidal streams, heights , safety, meteorology, position fixing & much more. On receipt of payment we issue you with a username & password allowing you instant access to the online course & also post out to you the RYA course pack containing RYA Training Charts, access to the RYA online electronic training chart plotter, the RYA Coastal/Yachtmaster course notes, the RYA Training Almanac & the RYA Coastal/Yachtmaster Course Exercise papers. The RYA recommends a total of 60 hours tuition for the course. We do find on average that it takes people between 50 and 70 hours to complete over a couple of months, however we do allow up to 6 months for completion if necessary, with an optional extension if more time is required. For the duration of the course you would have a dedicated Yachtmaster Instructor providing feedback, personal help & instruction. Once the course has been completed, the course assessment can be taken online in your own home. (On line students who intend to enter the MCA large yacht qualifications will always require a formally invigilated exam.) On successful completion, your certificate will be issued. The magnetic compass: Allowance for variation. Understand change of variation with tie & position. Understand causes of deviation. Swing for deviation (but not correction). Allowance for deviation. Different types of compass. Tides: Causes of tides – Springs & Neaps. Tide tables – sources. Tidal levels & datum. Standard & secondary ports. Tidal anomalies. 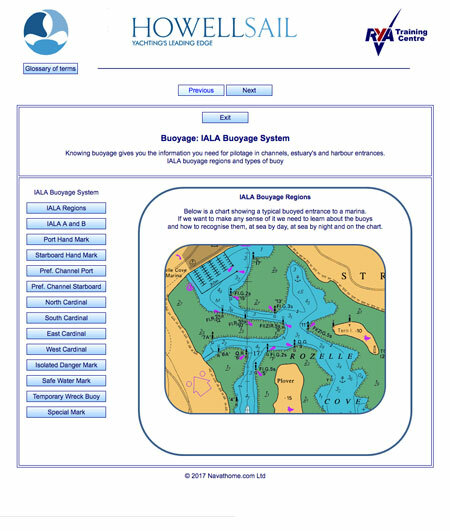 Buoyage: IALA system buoyage in Region A. Limitations of buoys as navigational aids. Lights: Understand characteristics. Ranges – visual, luminous & nominal. Rising & dipping distances. Light lists. 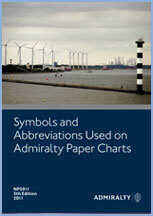 Pilotage: Harbour regulations & control signals. Methods of pre-planning. Clearing lines. Use of soundings. Transits & leading lines. GPS & chart plotters: Principles of operation & limitations of use. Raster & vector charts. Understand datum. Importance of confirmation of position by an independent source & keeping a separate record of position. Importance of paper charts. Echo sounders: Principles of operation & limitations of use. Logs (speed & distance measuring): Principles of operation & limitation of use. 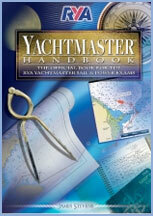 Deck log: Importance of log as yachts official document. Layout of log, hourly & occasional entries. Meteorology: Understand basic terms, the Beaufort scale. Air masses. Cloud types. Weather patterns associated with pressure & frontal systems. Sources of weather forecasts. 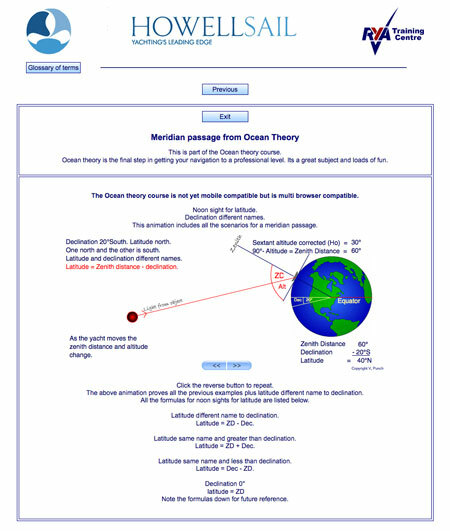 Ability to interpret a shipping forecast, weatherfax and weather satellite information. Land & sea breezes. Sea fog. Use of a barometer as a forecasting aid. 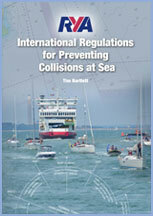 Rules of the road: A sound knowledge of the International Regulations for Preventing Collisions at Sea, except Annexes 1 & 3. Safety at sea: Personal safety, use of life jackets, safety harnesses & lifelines. Fire prevention & fire fighting. Distress signals. Coastguard & Boat Safety Scheme. Preparation for heavy weather. Liferafts & helicopter rescue. Understanding of capabilities of vessel & basic knowledge of stability. Navigation in restricted visibility: Precautions to be taken in fog. Limitations to safe navigation imposed by fog. Navigation strategy in poor visibility. 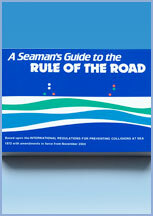 Passage planning: Preparation of charts & notebook for route planning & making, & use at sea. 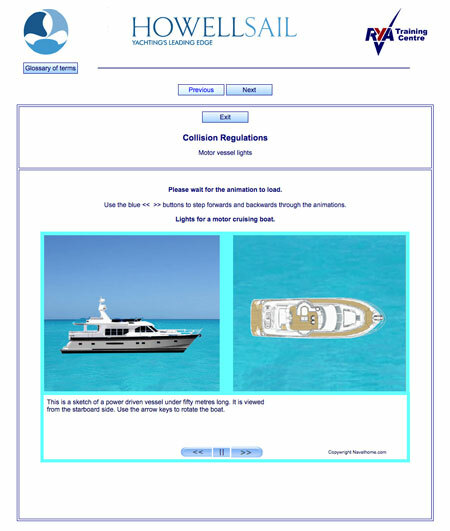 Custom regulations as they apply to yachts. Routine navigating in coastal waters. Strategy for course laying. Use of waypoints & routes. Use of weather forecast information for passage planning strategy. Sources of local & national regulations. Marine environment: Responsibility to minimise pollution & protect the marine environment. 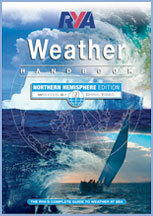 Written by a sailor for sailors, the RYA Weather Handbook explains the complexities of weather and is full of practical & useful advice on how to understand weather maps & improve your forecasting skills. Chris Tibbs has 250,000 seagoing miles under his belt, so the book is written by an author who really knows & understands sailing.